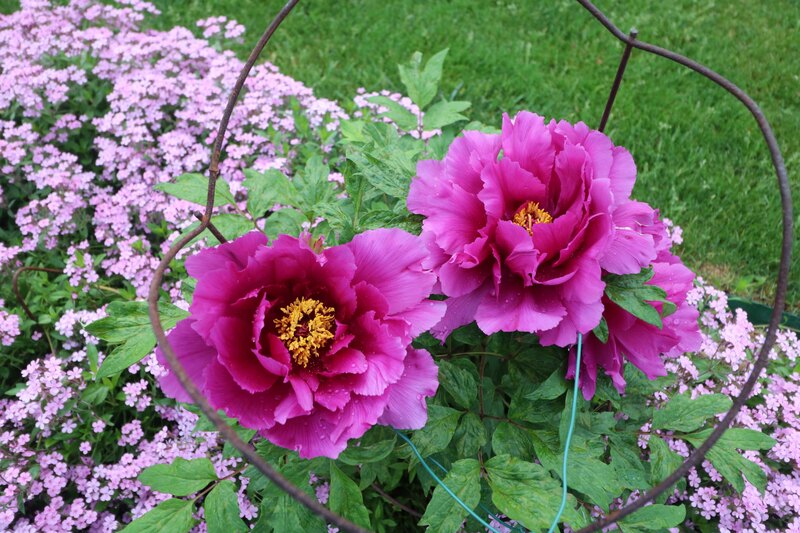 Peonies are outrageously beautiful in bloom, with lush foliage. 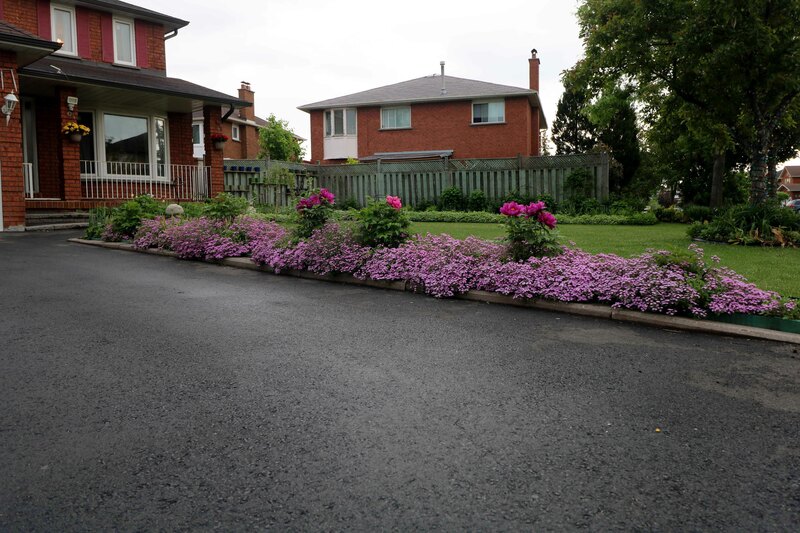 They bloom from late May through June in Toronto. The flowers last only two weeks. Their stems are not strong enough to support the heavy blossoms, hence they need support. 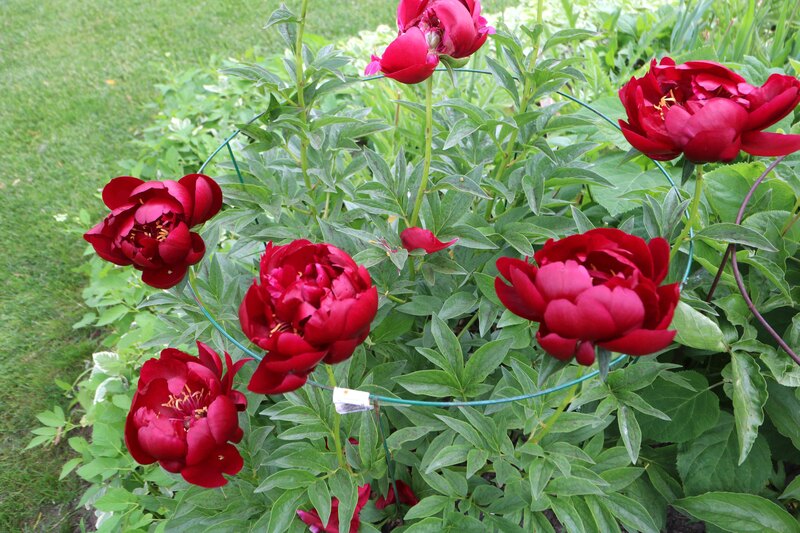 Peony cages are placed in spring around the plant as they grow. 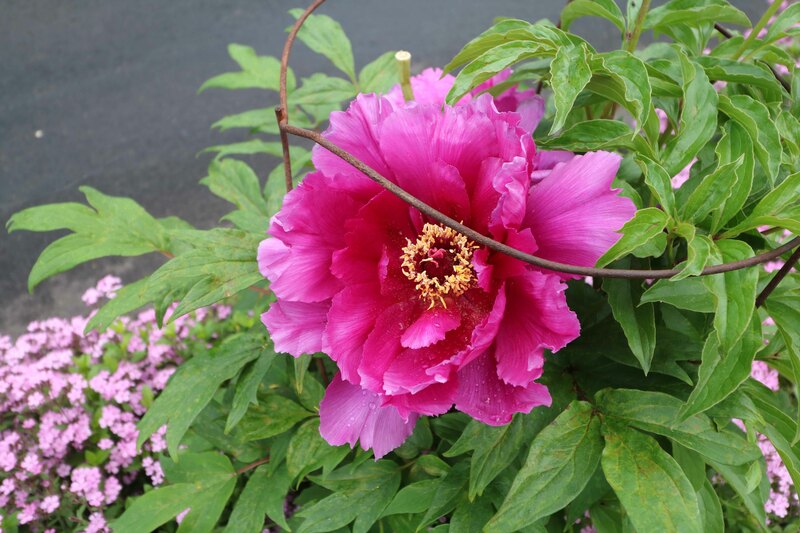 Peony is named after Paeon (also spelled Paean), a student of Asclepius, the Greek god of medicine and healing. They are also the 12th anniversary flower – because the peony symbolises honour, fortune, and a happy relationship.. It is the state flower of Indiana. Peonies are native to China. They are highly valued there, and are often referred to as the “king of flowers”. They were the national flower prior to 1929, when they were replaced by the plum tree. 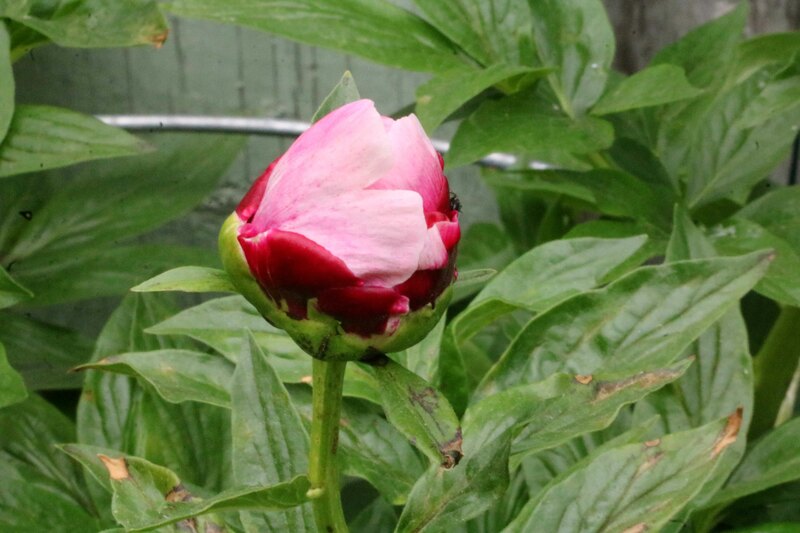 Chinese name for the peony is ‘Sho Yu’ meaning “most beautiful”. 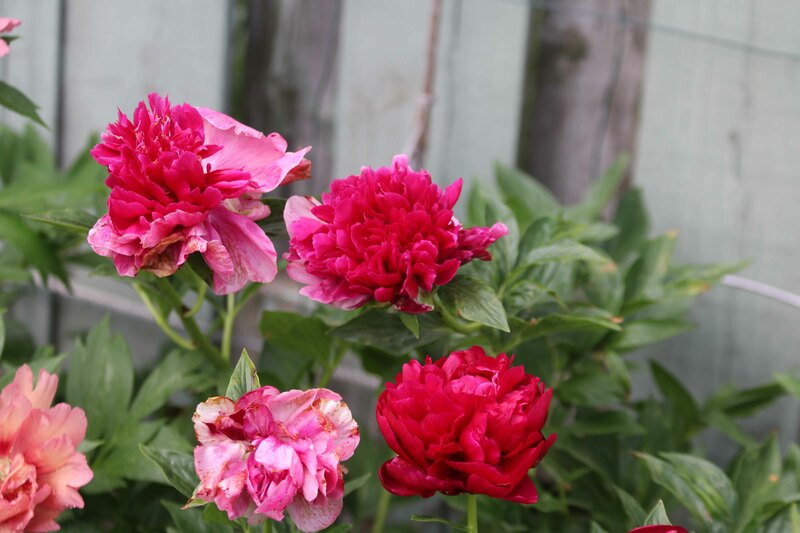 Peonies of three types grow in our garden- Tree Peonies, Herbaceous Peonies and Itoh peonies. Tree peonies are called tree peonies for the woody stems that they have. Tree peonies have woody stems that defoliate in the fall, but the woody stems stay intact, above the ground. 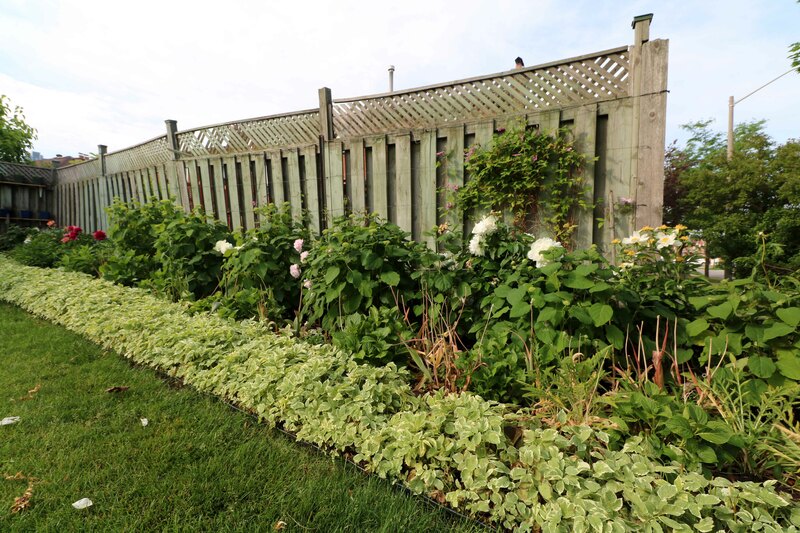 They tend to bloom earlier and with larger flowers than the bush peony. 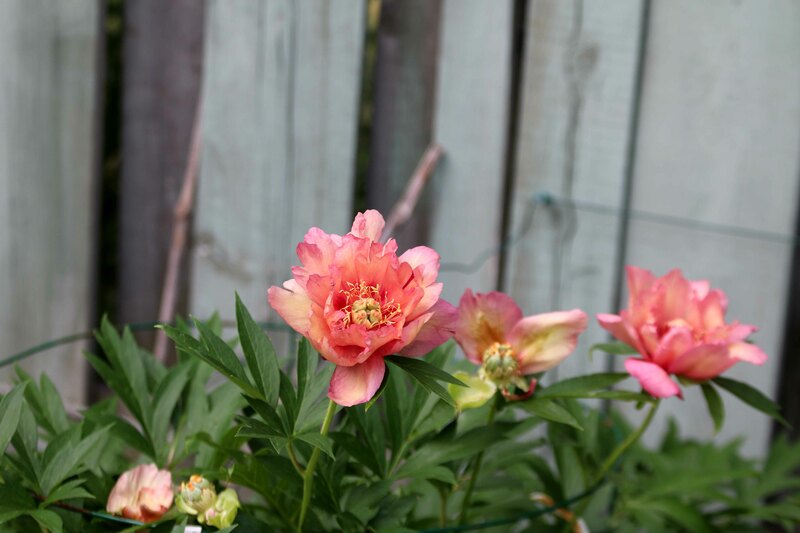 Itoh or Intersectional peonies are a cross between the herbaceous (or bush) peony and the tree peony. These crosses have produced new, exciting colors. The plants have the lovely leaf form of the tree peonies, but die to the ground in the Winter. Since they are recent introductions and are still in short supply they command a high price. 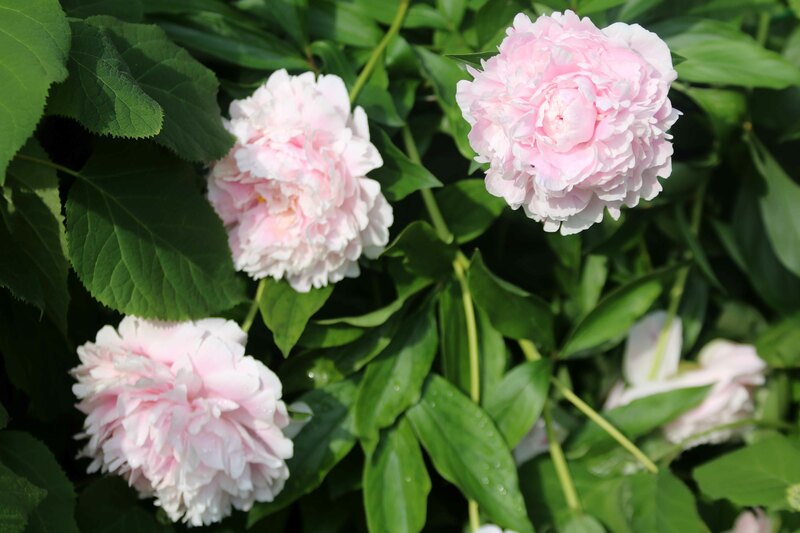 Itoh Peonies derive its name from Japanese horticulturist, Dr. Toichi Itoh, who successfully created seven peony hybrids from a tree peony bred with an herbaceous peony. Dr. Itoh passed away before ever seeing his creations bloom. 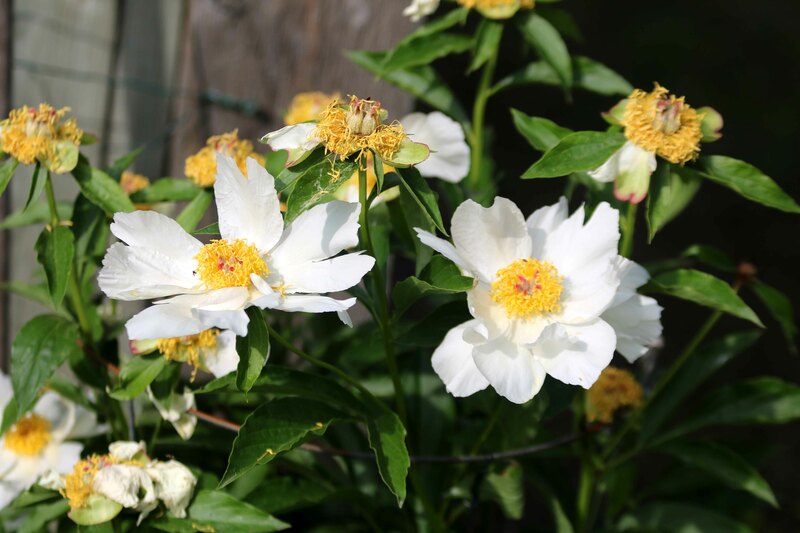 Years later, American horticulturist, Louis Smirnow bought some of these original Itoh peonies from Dr. Itoh’s widow and continued Itoh’s work. Peonies like full sun, and though they can manage with half a day, they bloom best in a sunny spot. They come in every color except for blue. Pink, and white, are the most popular colours. Peonies can live upto a hundred years. In ancient times peonies were believed to relieve headaches and help with asthma. Superb as always Reji. Very educative too.